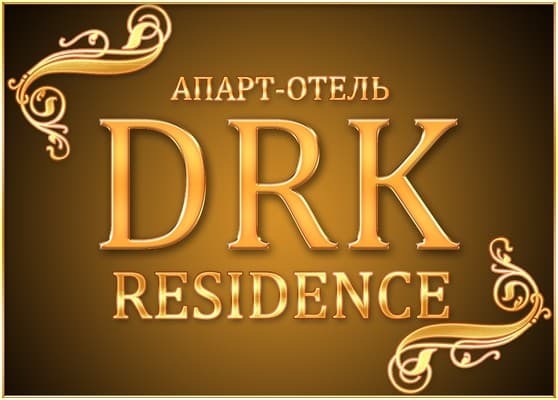 The DRK-Residence is located in the center of the city. 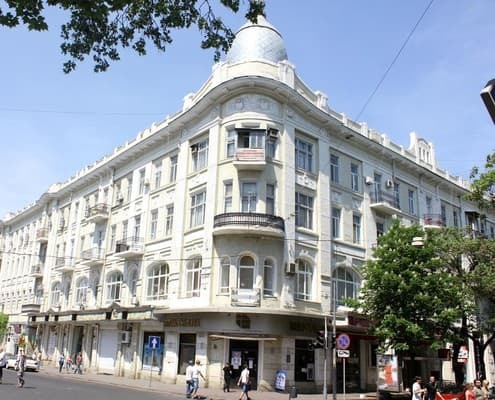 Odessa, a 5-minute walk from the City Garden. 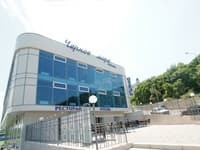 The location of the hotel is very convenient to the proximity of business and tourist centers, transport interchanges. 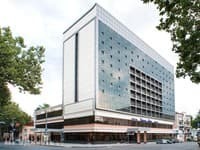 The hotel offers accommodation in 28 comfortable rooms of the categories Suite, Junior Suite and Standard. Description of the room: One room with a total area of ​​15 sq.m, equipped with a comfortable double bed. Description of the room: A richly decorated room with free Wi-Fi and a flat-screen TV. Has a balcony with a view of the city center. Area of ​​the room is 15 sq.m. 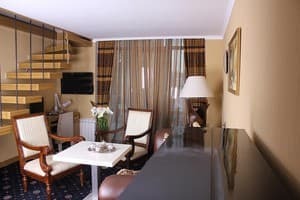 Description of the room: A richly decorated room with free Wi-Fi and a flat-screen TV. It has 2 levels: on the lower level there is a living room, and on the upper one there is a bedroom with a bathroom. 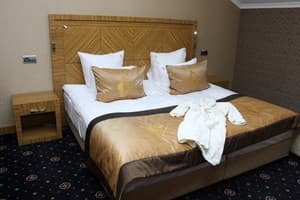 The room can have one double bed or two twin beds. Room size is 30 sq.m. 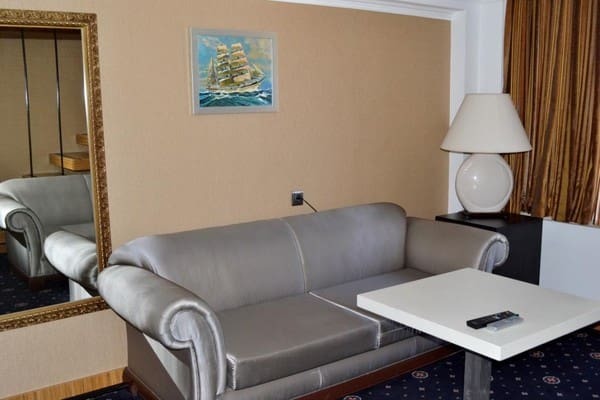 Description of the room: This finely decorated room features a flat-screen TV, free Wi-Fi and a sofa. The room is furnished with modern furniture. 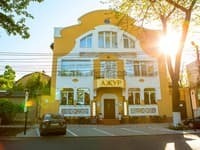 The room is equipped with one double bed or two twin beds. 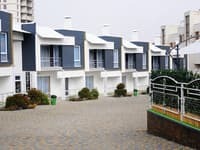 Room size is 40 sq.m. 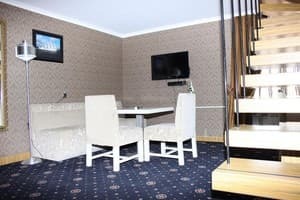 Description of the room: A richly decorated duplex suite with 2 flat-screen TVs, free Wi-Fi and a sofa. Features an extra meter and a balcony overlooking the city and the sea. The total area of ​​the room is 42 sq.m. The room can be either two separate or one double bed. Расположение отеля(в центре города). 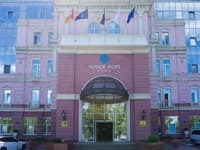 Всё необходимое для проживания в номере присутствовало. Приветливый персонал. В номере очень хорошо топили при температуре воздуха 25+ и соответственно было очень жарко. Слабая сеть Wi-Fi. Children under 5 years without extra beds are accommodated free of charge. Extra bed - 50% of the room price. For an additional fee, guests can use the meal delivery service from the restaurant (pizzeria, sushi bar). Downtown, 5 minutes walk from the City Garden. From the railway station - a fixed-route taxi No. 221.